A charity fundraiser has proved he can ‘walk the walk’ by raising over £500 in a long-distance hike. Kevin Rowe, Fundraiser at Bield Housing & Care, has demonstrated his commitment to the charity by walking the Great Glen Way. 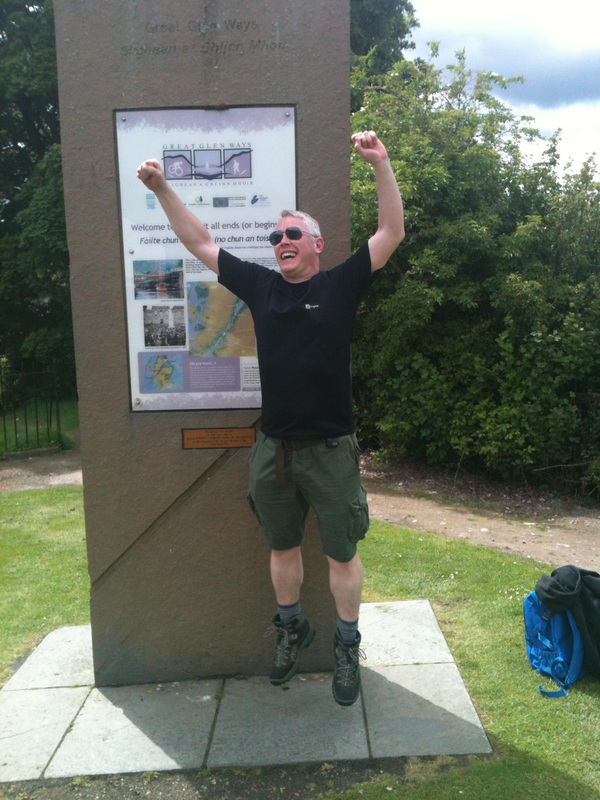 Kevin completed the 79 mile walk from Fort William to Inverness, adding to a total of over £1,000 that he has personally raised for Bield so far. Bield is Scotland’s leading provider of housing and care for older people and is a registered charity, depending on vital donations to provide quality care which enhances and enriches lives. Kevin says he’s keen to lead by example and place the fundraising onus on himself. The money raised will go towards care services for older people living with dementia. Bield’s philosophy is “Free to Be”, meaning people in its care control their life while being given the support necessary to do so. The walk took in a number of sights along the way including Loch Ness, Loch Lochy, Invermoriston Bridge and Gairlochy Lighthouse. Prior to this year, he completed both the West Highland Way and climbing Ben Nevis in 2011, raising nearly £1,000 for Bield. And it’s not too late to donate to Kevin’s cause. You can visit www.justgiving.com/KevRoweGGW2013 or text KRGG79 £10 to 70070 to make an instant £10 donation. Brian Logan, Chief Executive at Bield said: “Recognising the role of fundraisers is very important as they play a crucial role within Bield and Kevin clearly leads by example. “We are so grateful that Kevin, alongside other Bield staff members, tenants, care givers & their family and friends take the time to raise money for our homes.